This has been an exciting year for digital marketing. Siri and Google alone are handling 452 billion voice searches per year and changes in consumer behavior are altering the nature of search. Mobile devices are leading the way and making search more personalized. Consumers are more engaged than ever thanks to seamless cross-device experiences and access to apps. The future of search is here; be it “Intelligent Assistants” (Siri, Alexa, OK Google or Cortana) guiding searchers with answers, the exponential growth of digital products or making the most of micro moments. Businesses have no choice but to keep up with the rapid pace of change. Is your business prepared to capitalize on the digital trends that will be most impactful in 2018? Trend #1: Mobile is consumers “go to” device. Mobile has become the primary device that consumers use to solve daily challenges: maps, calendars, email, planners, communication, payment gateways, apps, voice search. You name it and a mobile device is likely involved. In fact, 60% of searches now happen on mobile devices. In hospitality, 2017 saw 39% more “near me” searches than 2016 according to Google. 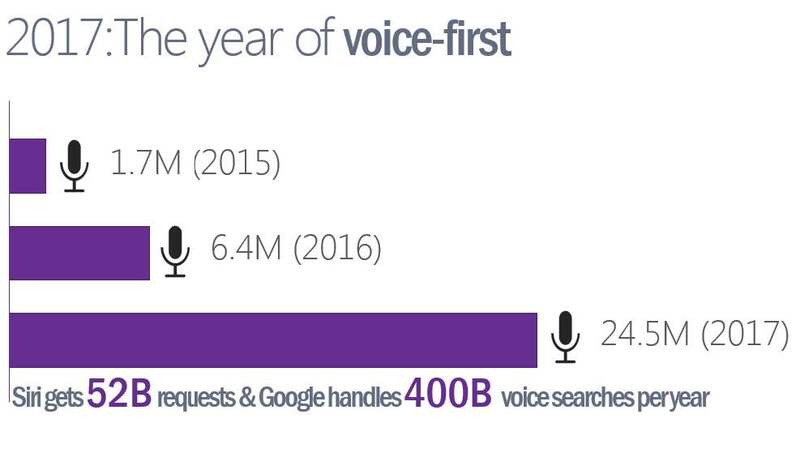 In addition, comScore believes that by 2020 more than 50% of searches will be voice powered (that’s only 3 years away). Most of these searches will be done on mobile devices but we shouldn’t forget that a whole host of “headless” devices like watches and personal assistants will also contribute to the growth of voice search. Users are leveraging mobile devices to solve their pain points. According to Google, 4 out of 5 consumers use search engines to find products, services, or experiences. These interactions are called Micro Moments. Google found that 84% consumers use search engines on their desktop or tablet and 88% use their smartphone to initiate an intent-driven micro moment. GO moments. Users are looking for an address or location of a business. DO moments. Users are looking for things to do near their current location such as restaurants, museums, theme parks and more. BUY moments. Consumers are looking to make a purchase, either online or offline. The impact of mobile is just not limited to user interaction. We are living in an era where mobile interactions are driving revenue and ROI across industries. Research suggests that 65% of smartphone users continue their shopping experience on a PC, 2% of first-time visitors complete a purchase and 50% of mobile visitors visit a physical store location within a day. Trend #2: Multiple digital touch points for consumers. The average consumer now owns 3.8 internet connected devices like mobile phones, personal assistants (Amazon Echo, Google Home), tablets, and PC’s. In some cases, consumers interact with their devices verbally and are not necessarily going to see content while getting answers to their problems. Digitimes estimates Amazon will ship about 10 million Echo devices by the end of 2017. These “limited” screen interactions and “headless” interactions that have no screen, will create a whole host of new marketing opportunities and problems in 2018. According to comScore consumers are also likely to view the same piece of content at least 5 times, often on different devices at the same time, before they make a purchase decision. For businesses, this increases the complexity of presenting offers to consumers and expecting them to convert. Trend #3: Consumers want relevant information quickly. Speed of access to information remains incredibly important to the consumer. Despite all the advances in network technology and download speeds, consumers continue to demand faster access to information. In fact, a web page that takes more than 3 seconds to load will lose more than 50% of visitors. This directly impacts conversion and revenue. Alongside speed, consumers also want relevant content. Seventy five percent of consumers say that personally relevant content increases the likelihood of a purchase. Trend #4: Search is still King. Search remains at the heart of the digital experience. Consumers go to devices to search for information and so long as consumers use a search engine, it will be important to keep optimizing for the search experience. Being present when the consumer searches will always remain important for business. Google remains at the top of the pack in the core search space but also drives significant traffic via image search, YouTube and Google Maps. Search is at the center of any experience today. Make sure to take that into consideration as you think about your 2018 digital strategy. Now is the right time to start planning your 2018 digital strategy. While planning, it’s important to include the possible impact of the latest trends in your budget. Mobile is the “go-to” device. Optimizing for multiple devices and multiple touch points is critical. Think Micro-moments: As consumers turn to mobile devices to solve a pain point (micro moments), brands can leverage these opportunities to deliver relevant content and solutions. Voice assistants have arrived: Siri, Alexa, Google Assistant etc. are quickly becoming the way users seek out information. Search is still King and users are looking for answers, not just links. Speed, relevance, and trust matter the most to the mobile consumer. What I enjoyed most about this article are the depth and slices (yes, I’m a Malcolm Galdwell advocate!). 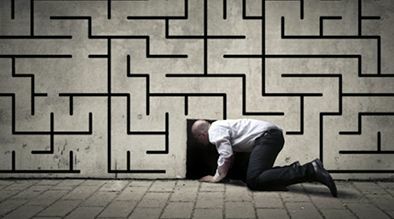 What I mean by that is Milestone goes well below the surface to reveal layers and levels of understanding, connections, paths, and need. It is natural that they would provide broad advice that casts a wide net, something all tech companies need to do now and going forward; cast a wide, well-tailored net to meet evolving customer needs. It’s a solid start for any road map or strategy. Well done.